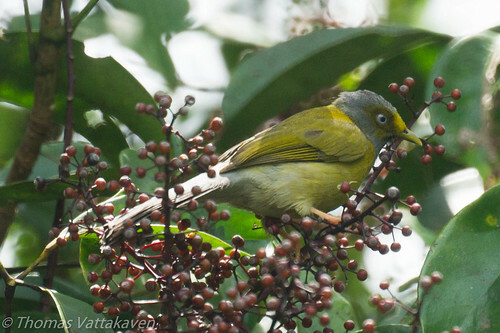 The Greyeaded bulbul (Pycnonotus priocephalus) is an endemic species of bulbul found in the Western Ghats. 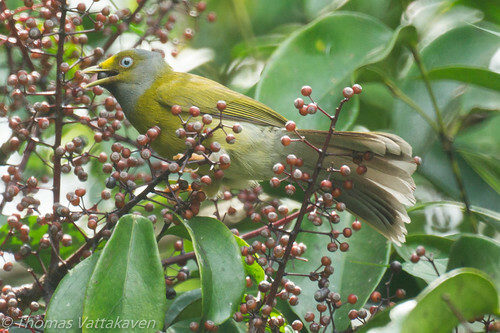 It has an olive green colour with a grey head, crown and throat. The forehead is also olive green and the flanks are dark grey. The undertail coverts are also grayish. 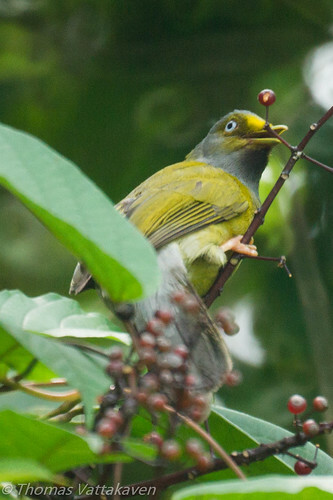 The beak is greenish gray while the legs are pinkish. The iris of this bird is a distinct bluish white colour. 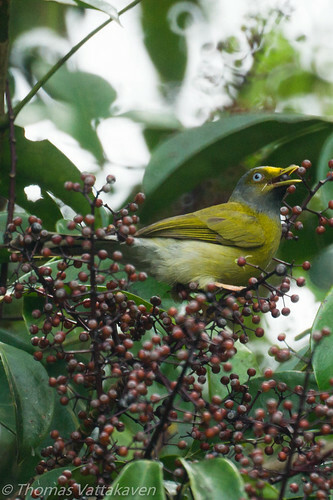 They are seen either singly or in groups or 4-8 individuals. It is patchily distributed and listed as “Near threatened” by IUCN due to steady forest clearance where it occurs. 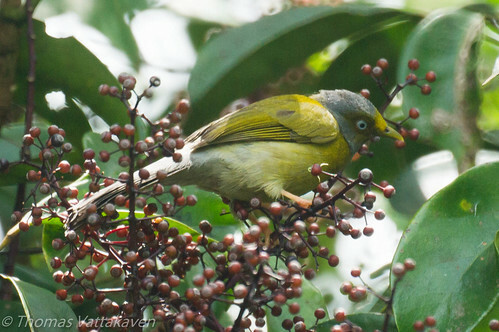 During breeding season, it is restricted to the mid-elevation evergreen forests between 700-1400m elevation while inthe non-breeding season it is present in lower altitude moist deciduous and scrub forests. It feeds on berries and fruits. Nests are commonly built in reed bamboos and is a platform. Only a single or sometimes two eggs are laid. Both parents take part in incubation and feeding. 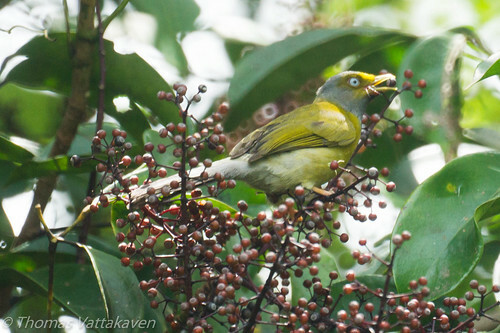 Other Details: A group of Grey headed bulbuls, seen with Brown-cheeked Fluvettas, Flowerpeckers, Sunbirds, White-bellied Tree-pies etc.